Care should be taken with both the wearing and storage of jewellery. All gemstones, including pearls, can be damaged by pressure, heat and/or chemicals. Pearls should be kept away from chemicals (including face creams, perfumes, hair spray etc.) and cleaned regularly with a soft, damp cloth. They should be the last thing you put on before going out and the first thing you remove when you come home. It is recommended that bracelets and rings be removed before washing hands and all jewellery removed before bathing or swimming. Sterling silver can tarnish over time with exposure to the air. If storing for a long time, it is best to be kept in an airtight environment (eg. a ziplock bag). Wipe it with a soft, damp cloth or a silver cleaning cloth after each wear to maintain shine. 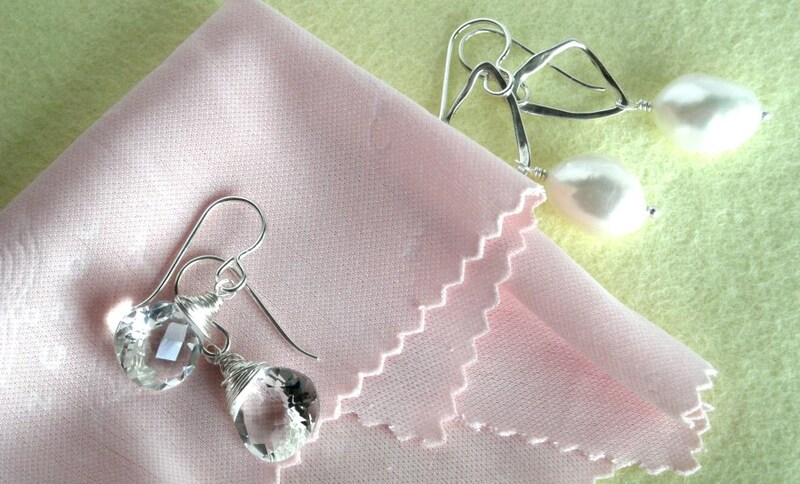 Frequent light cleaning with a jewellery cleaning cloth is the best. However, if your jewellery gets very dirty, a gentle wash with a soft toothbrush in lukewarm water with a drop of dishwashing liquid added, should get it nice and clean and should not damage the stones, pearls or metals. Leave ultrasonic cleaning to the professionals as some gems can be damaged by the vibrations. Store your jewellery appropriately in a jewellery case/bag or similar out of direct light. It is best to lay necklaces flat or coiled loosely to prevent tangling with other jewellery and to avoid damaging the stringing material. Try to keep valuable jewellery separate to minimize scratching with other pieces. Particular care should be taken with storing pearls that have been treated to vibrant colours. These vibrant colours have been known to be affected by strong sunlight over an extended period of time so it is best to store these out of the light. Swarovski crystals will be easily marked by fingerprints which will reduce their sparkle and shine, so wipe with a soft damp cloth before wearing. Most importantly, enjoy your jewellery and wear it often!